Turkmenistan has started the detailed preparation to the First Caspian Economic Forum to be held on 12 of August 2019 in the National Tourist Zone “Avaza.” It is favorably symbolical that the date of this first large Caspian forum coincides with the Day of the Caspian Sea. The implementation of measures on preparation and hosting the First Caspian Economic Forum unfolds in accordance with the Concept of holding the Forum affirmed by the President of Turkmenistan Gurbanguly Berdimuhamedov. 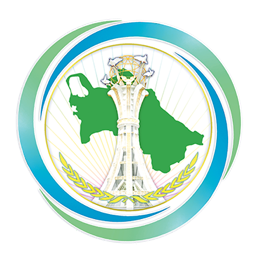 The organizational and analytical work is realized in the Coordination center of the Ministry of Foreign Affairs of Turkmenistan established by the resolution of the Head of State on 14 December 2018 during the Meeting of the state’s government. The initiative of the Leader of Turkmenistan has found significantly new content in his address during the V Summit of the Heads of the Caspian states that was held in Aktau city of the Republic of Kazakhstan on the 12 August 2018. Underlining that the five-sided cooperation on the Caspian Sea by large depends on the level of participation of our states in trade, economic and transport processes, the President of Turkmenistan Gurbanguly Berdimuhamedov said that holding the First Economic Forum in 2019 will serve as a proof of all Caspian states’ readiness to consolidate efforts in this regard.